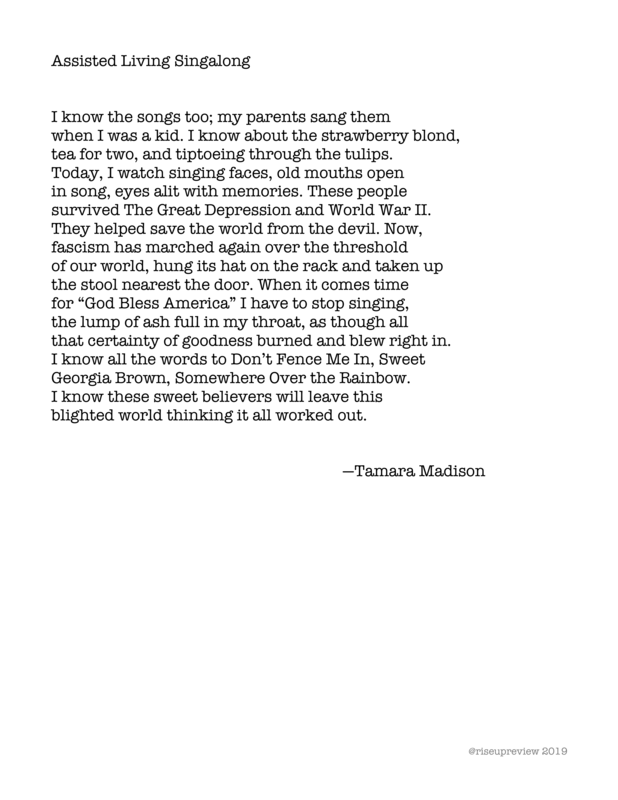 Tamara Madison is the author of the chapbook The Belly Remembers, and two full-length volumes of poetry, Wild Domestic and Moraine, all published by Pearl Editions. Her work has appeared in Chiron Review, Your Daily Poem, A Year of Being Here, Nerve Cowboy, The Writer’s Almanac and other publications. She is thrilled to have just retired from teaching English and French in a public high school in Los Angeles.